Join your fellow residents at Trilogy at Vistancia in Peoria, Arizona every Tuesday in the Arroyo Room from 12:30-3:30 for Mexican Train. 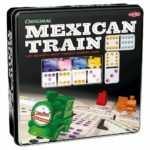 Mexican Train is a game played with number dominoes. Just one of the great games played in active adult (over 55) communities like Trilogy. The object of the game is for a player to play all the dominoes from his or her hand onto one or more chains, or “trains”, emanating from a central hub or “station”. The game’s most popular name comes from a special optional train that belongs to all players. 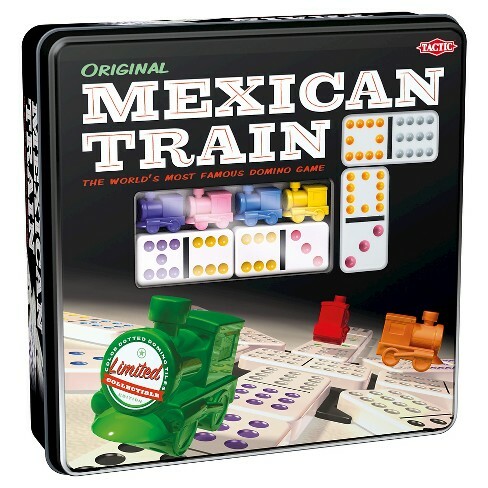 However, the game can be played without the Mexican Train; such variants are generally called “Private Trains” or “Domino Trains”.